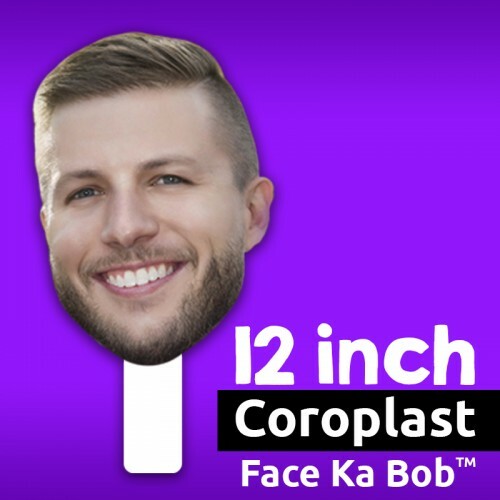 For when you need just the perfect amount of ka-bob, the 12" Coroplast Face-Ka-Bob! A 12" is perfect for parties, events, gatherings and fundraisers. Made right from your photo! Our 12" Face Ka Bobs are 12" in height and are sized proportionally with the face provided. Any special changes like longer hair, hats or extra details can be added but will change the size of the Face Ka Bob. Please make note of special considerations in the comment section of your order.